The first of two commissions I have on at the moment. 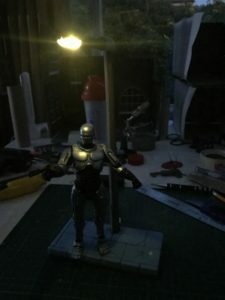 The first is a small street light diorama. 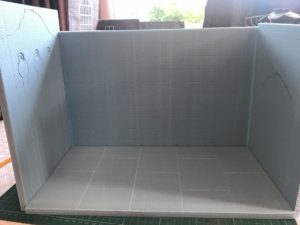 I have released a review of my Church Ruin diorama, enjoy! 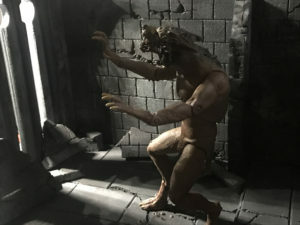 This diorama is now complete, the werewolf can’t stop howling about it!